Basing in the creative capital of the world…Hollywood Book Publicity in Hollywood, California holds a unique place among U.S. and international book publicity, book promotion and book marketing firms serving authors, book publishers and screenwriters. As book publicity, book promotion and book marketing experts, we never accept a client that we feel we cannot guarantee publicity. Founder of Hollywood Book Publicity is Charles A. Barrett an accomplished, award-winning international media expert-publicist in book publicity, book promotion, and book and author marketing. 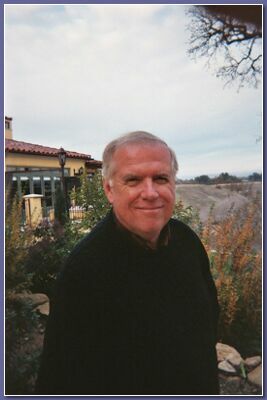 As a distinguished member of the Hollywood media community for some 30-plus years — working also as a film and TV publicist for networks and studios — Charles A. Barrett is also a highly experienced former print and broadcast journalist who worked in New York and Los Angeles for the Associated Press and The Hollywood Reporter. He is also both a former movie studio and a network TV publicist, with credits ranging from 20 MGM’s James Bond movies to NBC’s Tonight Show, working as NBC’s publicity director for Johnny Carson and hosts Jay Leno and Joan Rivers.